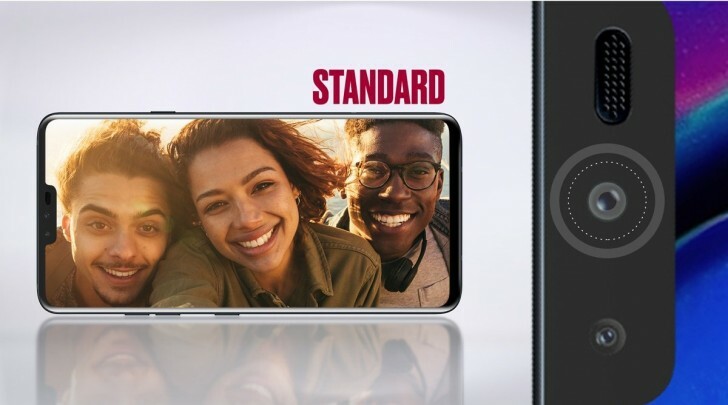 The LG V40 ThinQ was announced last week and will launch on October 3 when we'll learn its official specs. Yet thanks to a last-minute leak we now know what those five cameras do. Our educated guess was confirmed by newly released promo material, obtained by Evan Blass (@evleaks). 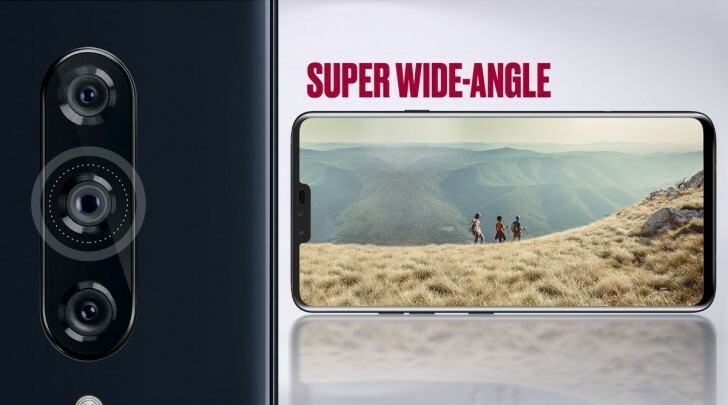 The LG V40 ThinQ will have three cameras on its back - regular angle, super wide angle and a telephoto. On the front there will two more snappers - regular and wide angle. 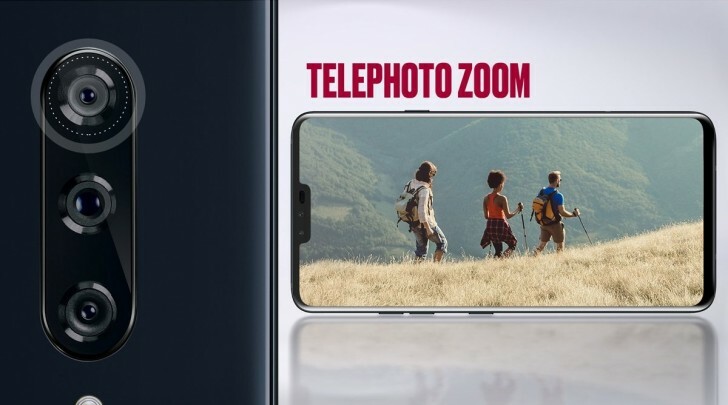 The promo images don't detail the new cameras but unconfirmed report claim that the regular angle snapper to be a 16MP with a bright f/1.5 aperture, the super wide angle to be a 13MP f/1.9 fixed-focus unit and the zoom camera to be an 8MP unit with an 80mm equivalent (or around 3x zoom from the regular camera). 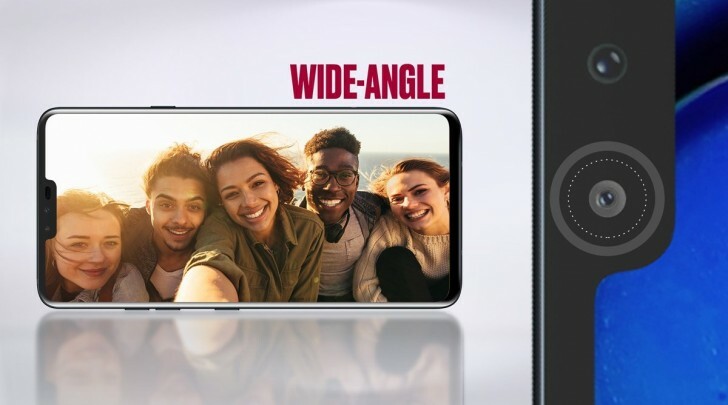 Interestingly, according to the material there are two selfie cameras on the LG V40 ThinQ, whereas the LG V30 ThinQ produced a wide angle and a regular angle photo from a single camera lens/sensor. 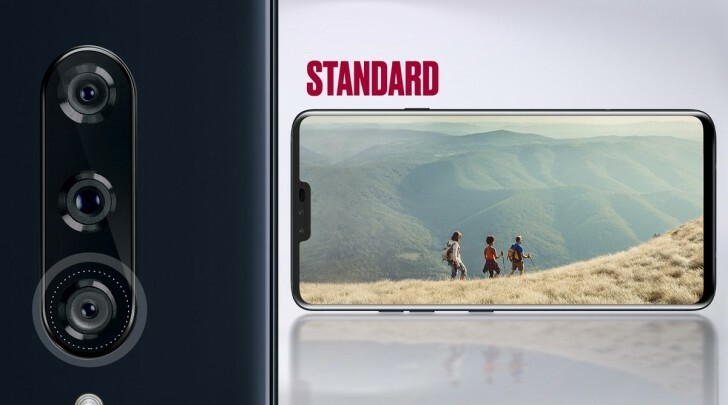 LG will reveal all the details about the V40 ThinQ in two days. And we'll have detailed coverage for you guys too so stay tuned!